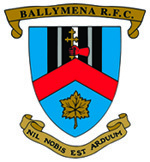 Ballymena Cricket Club is a section of Ballymena Rugby Club with whom we share the ground and facilities at Eaton Park. The club operates three adult teams and teams at every junior age group. Adult nets are held twice a week throughout the summer on Monday and Thursday evenings from 6.30pm. We always welcome new players to the club. If you are interested in playing, simply come along to one of the sessions or contact any of the club contacts. Anyone interested in playing junior cricket can contact the Youth Convener for the details of junior sessions. We are also always looking for parents willing to assist with coaching at a junior level. No experience is necessary, just enthusiasm and a little bit of spare time! Again, please contact the Chairman or the Youth Convenor if you are interested.